Home > Events > Be responsible when disposing of garden waste! Be responsible when disposing of garden waste! Now that fall is here and people are starting to put their gardens to bed it’s time to remind folks to responsibly dispose of all garden waste. While most vegetable and plant matter can be safely composted, noxious weeds and invasive plants must be dealt with differently. We recommend that all invasives are double bagged and taken to CSRD landfill sites where they will be buried to ensure that seeds are contained and do not escape to start new infestations elsewhere. 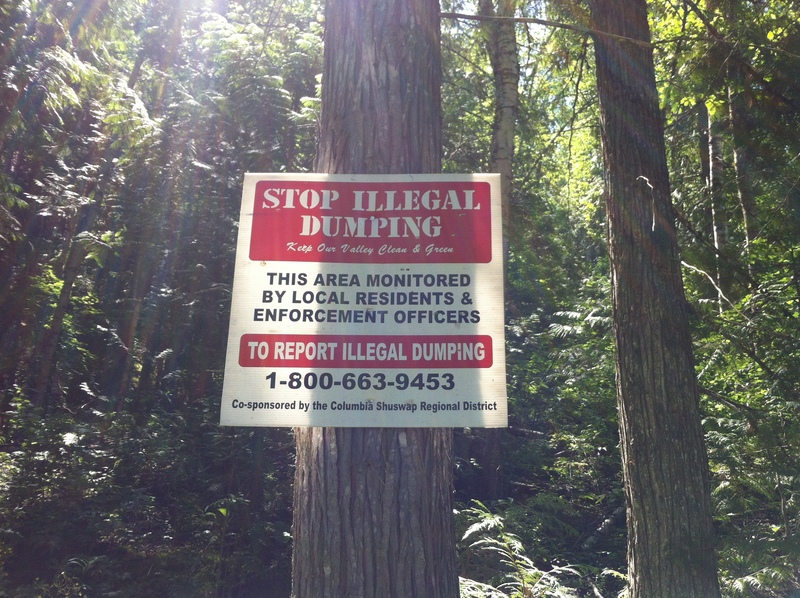 Please report all illegal dumping! Often these sights are the source for new infestations and costly removal. Our biggest weapon against invasives is prevention and disposing of garden waste properly can help leaps and bounds.